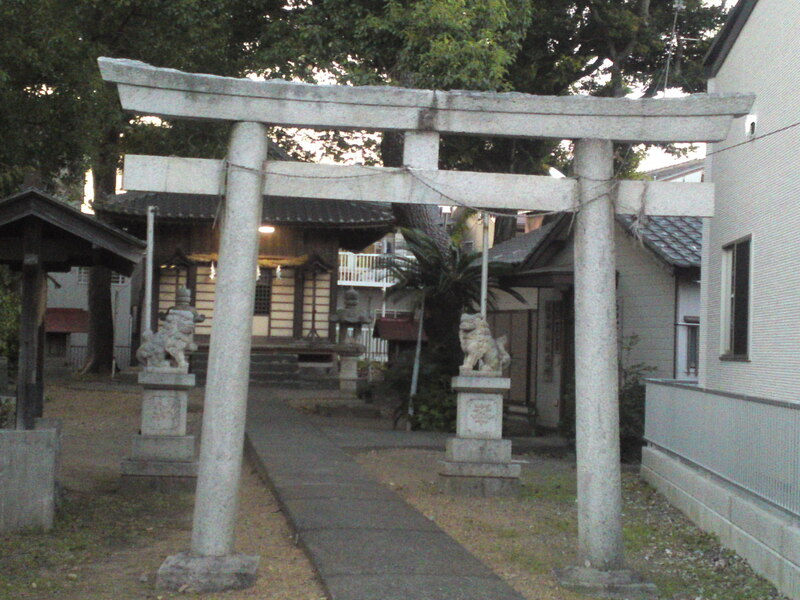 Ishida Shrine (石田神社) in Ishida, Suruga Ku, Shizuoka City! 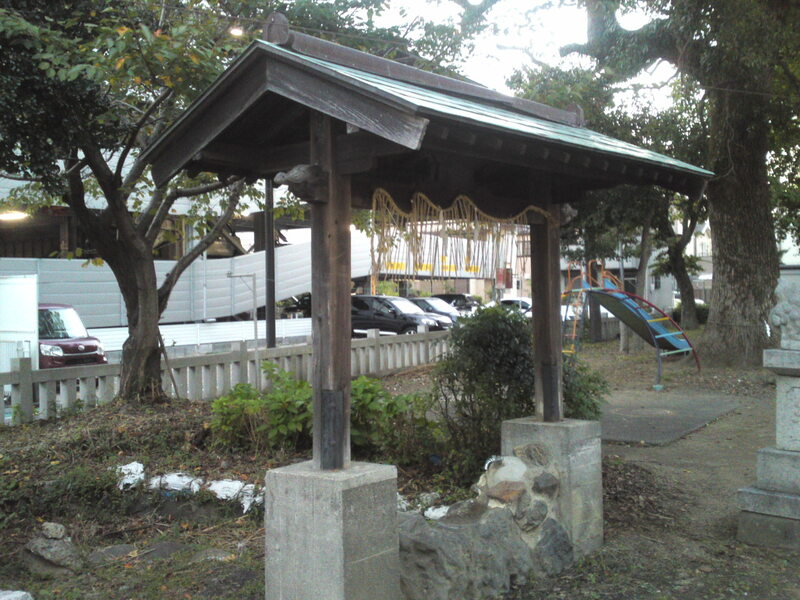 As I said before Suruga Ku, the area south of Shizuoka JR Station is literally sprinkled with ancient small and quaint Shinto Shrines I mostly discover during my bicycle rides in that particular area! 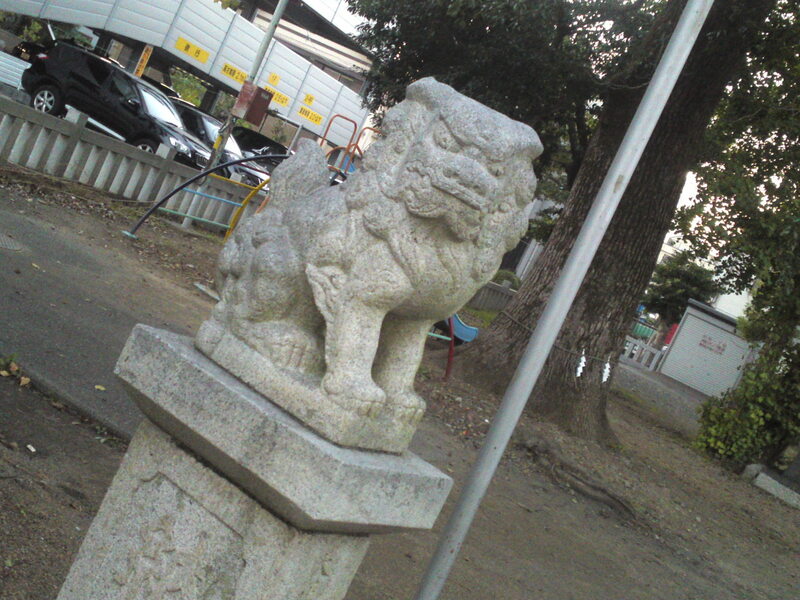 About 5 minutes (count 10 to find it) ride from The station stands Ishida Shrine (石田神社) stands in an area of the same name. 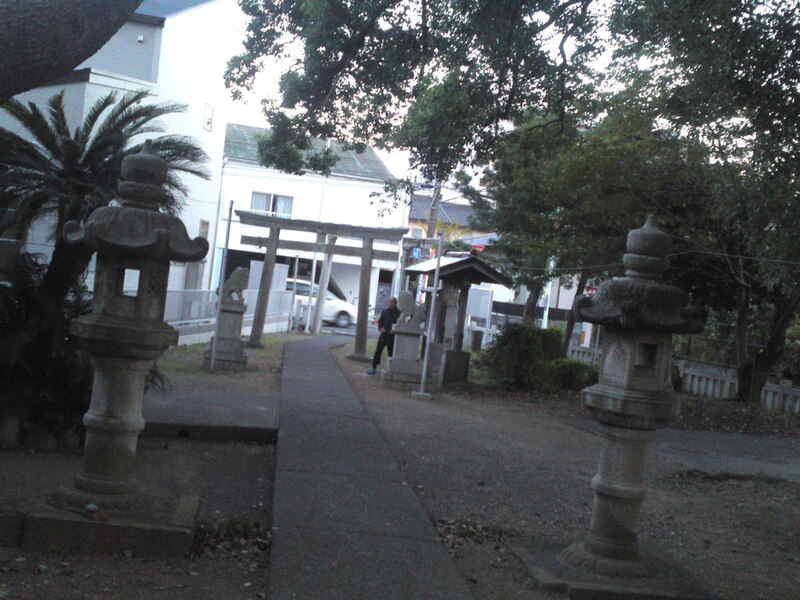 Although small and almost derelict locals have been offering new torii gates! 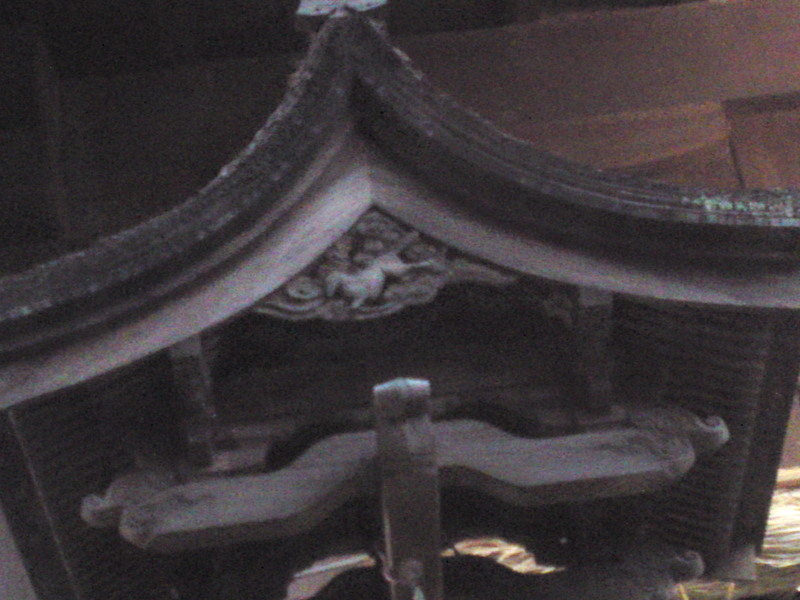 Very small stone hand washing basin (Chōzuya) but with its own roof! 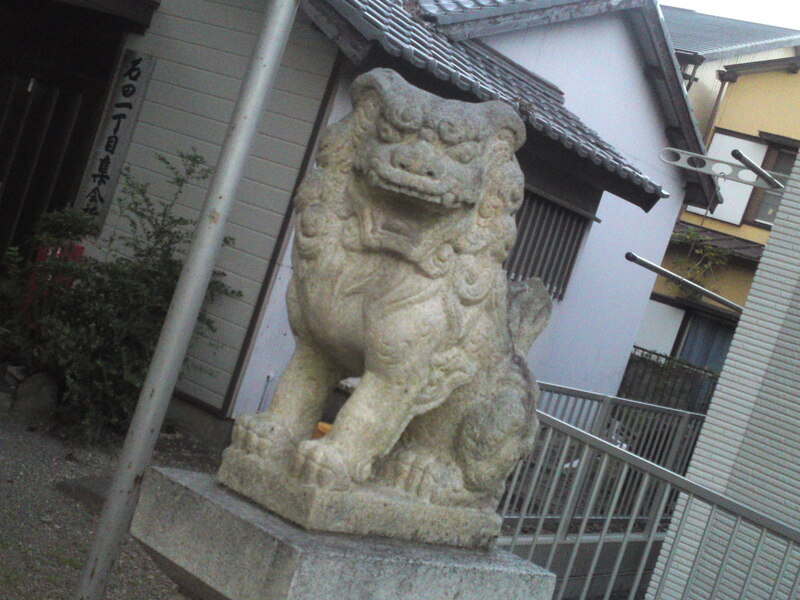 Two smart looking lions (“Shishi” Or “komainu”) are guarding the shrine! 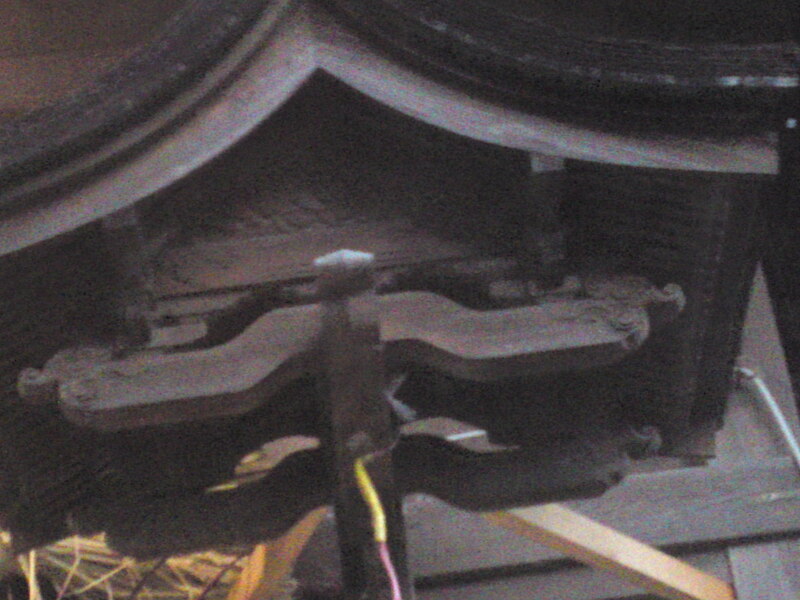 The Left hand one with its closed maw! 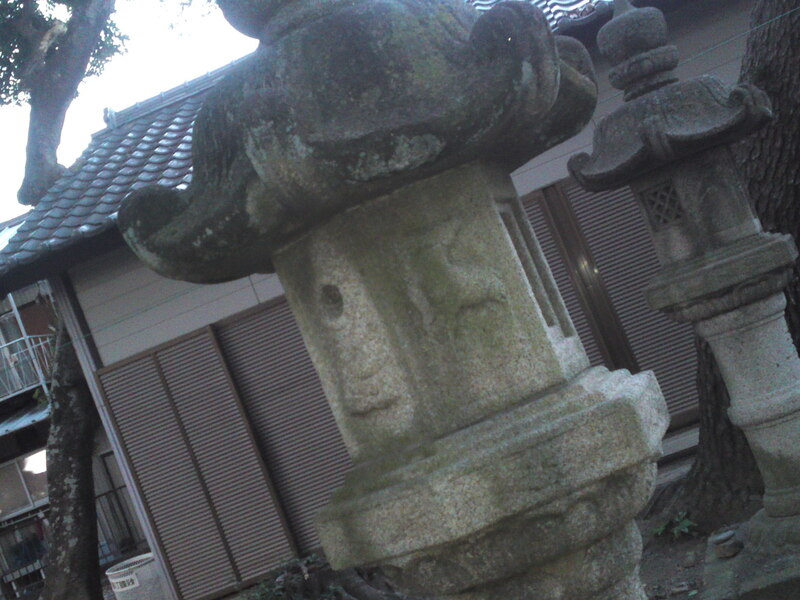 The right hand one with its mouth open! 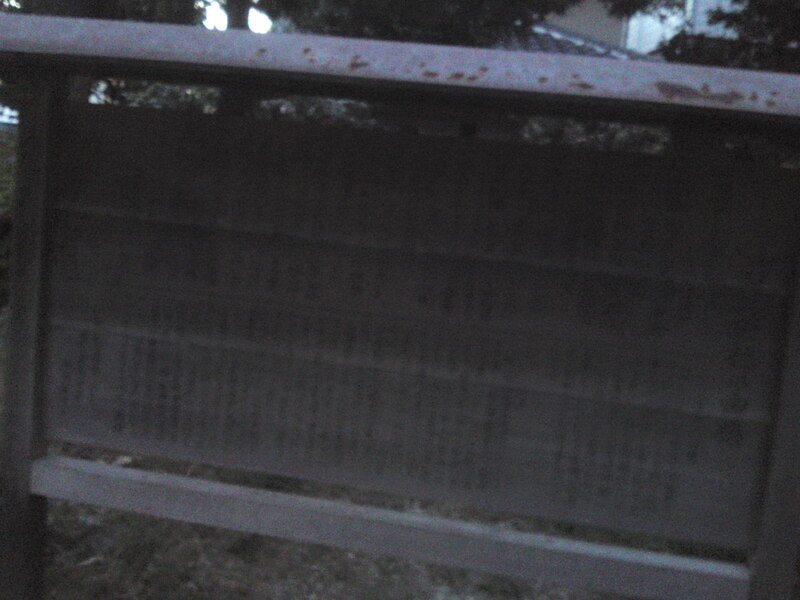 This wooden board indicates that the shrine was rebuilt in 1875 although it has been a site where shrines have been erected for at least 1,000 years! 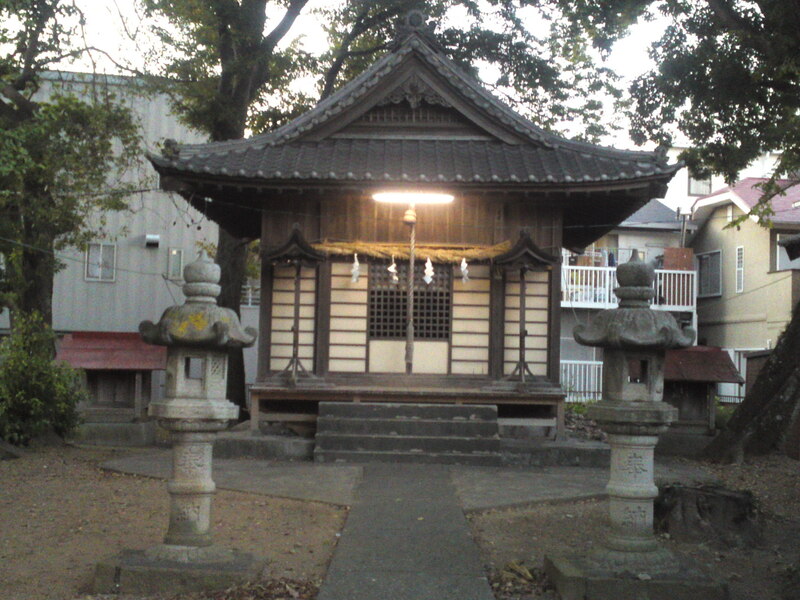 The shrine (jinjya) with two stone lanterns (ishi-dōrō)! 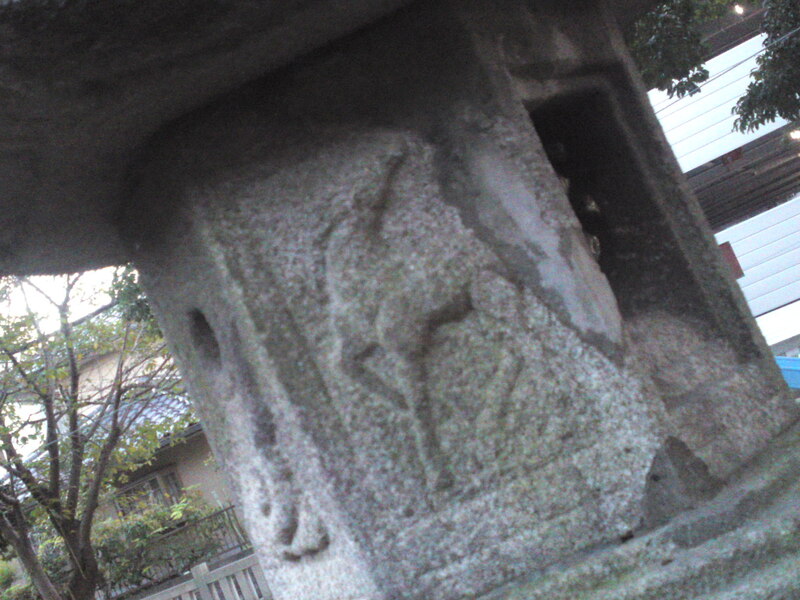 The other lantern sports not a doe but a stag with longer antlers! 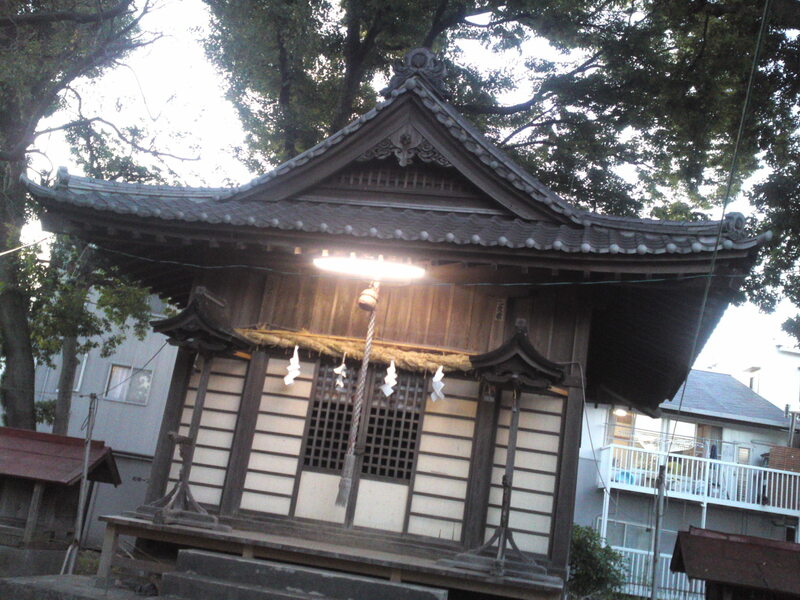 The main worship hall (Heiden)! 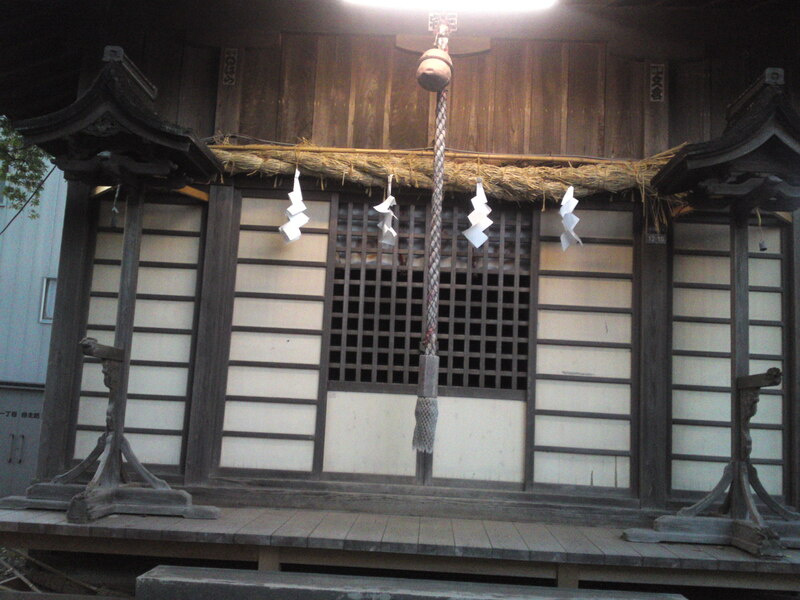 With is rice straw garland (shimenawa) and bell and rope. 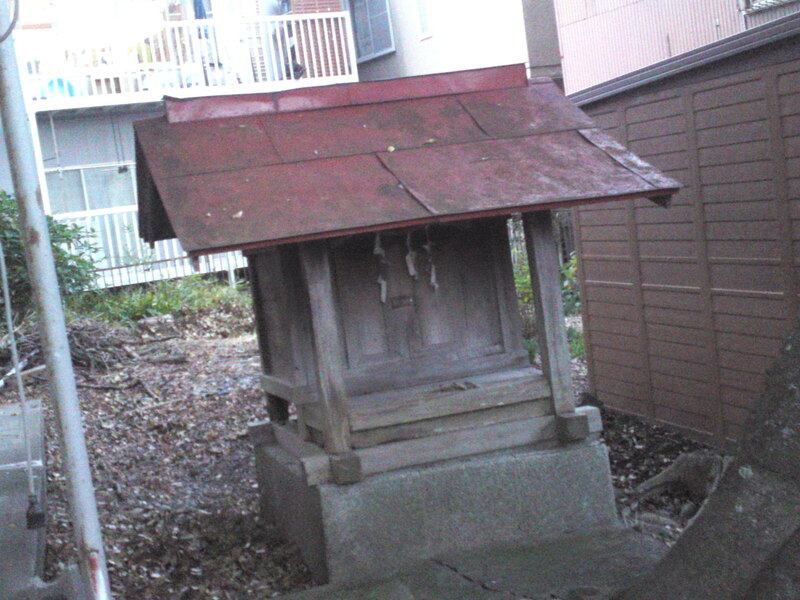 I didn’t notice any money offering box (saisen) so I suppose worshippers throw their coins through the door or into the box of smaller shrines also found on the site! 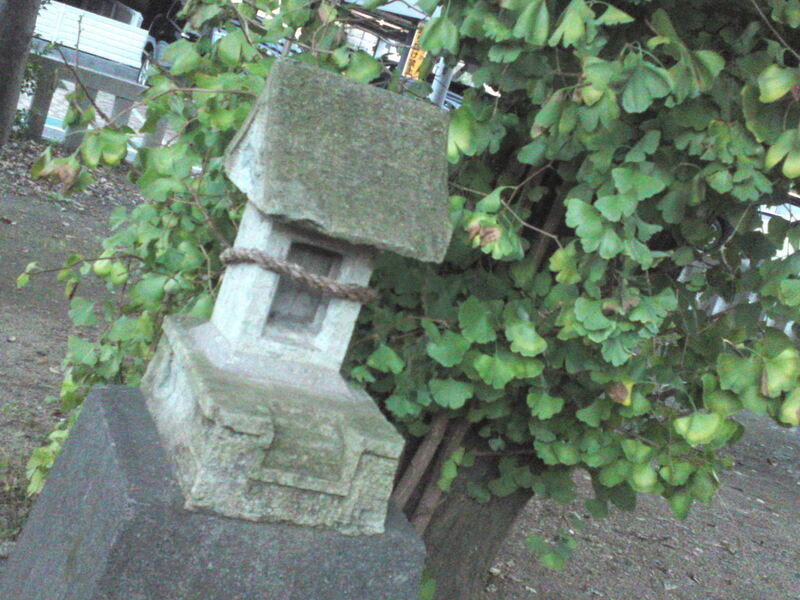 One of the two lanterns stands. 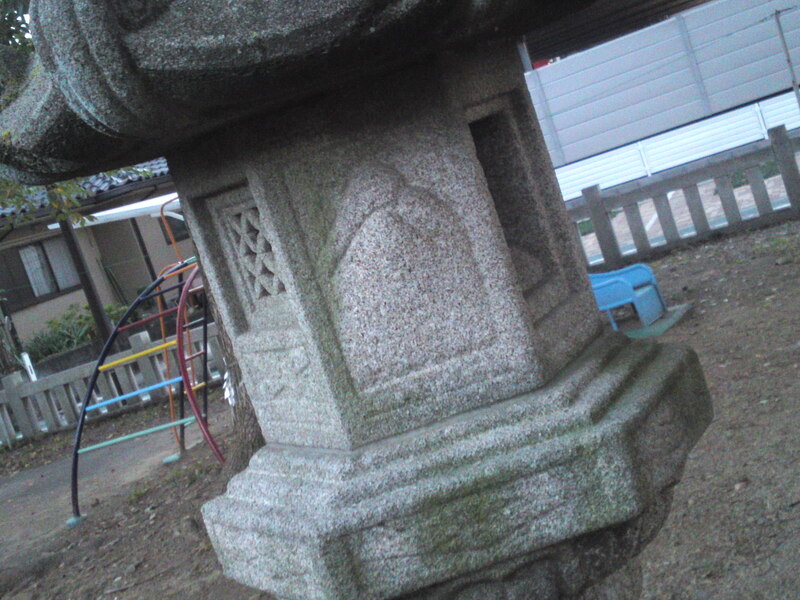 The left one is decorated with an animal carving! 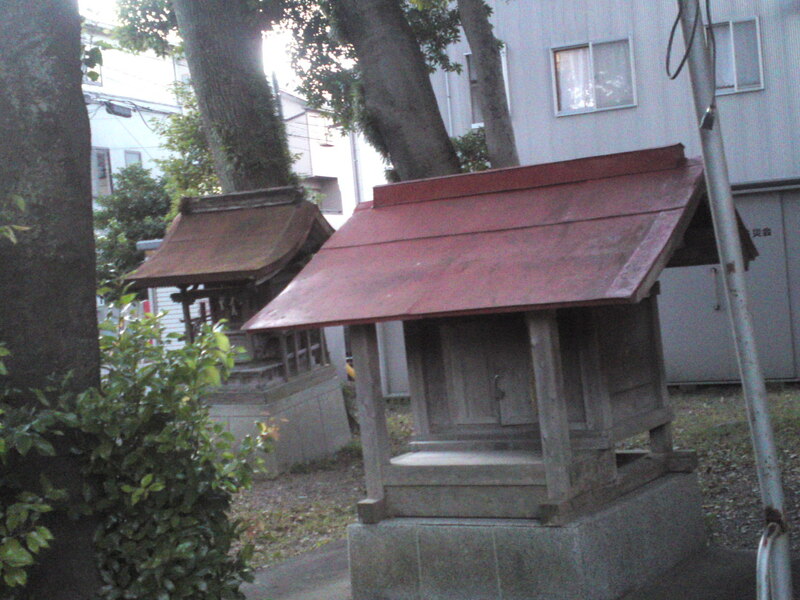 The plain lantern wooden stand on the right! 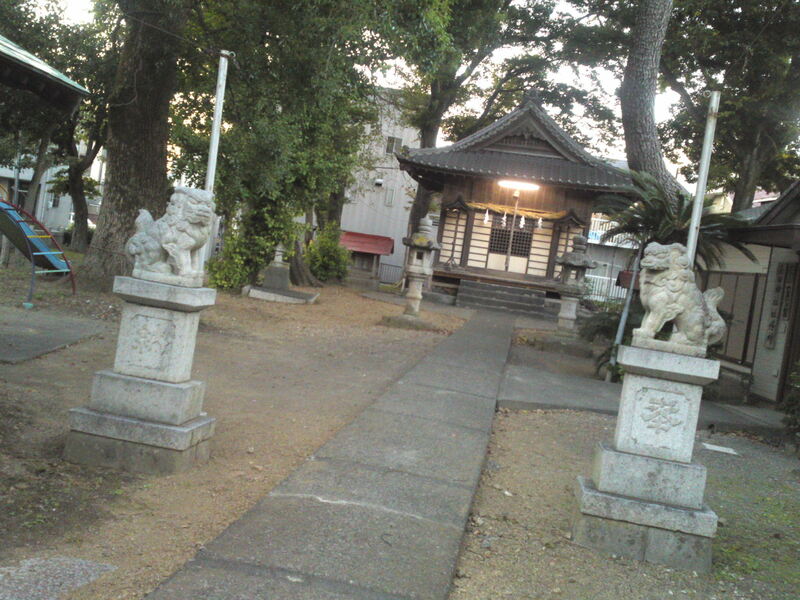 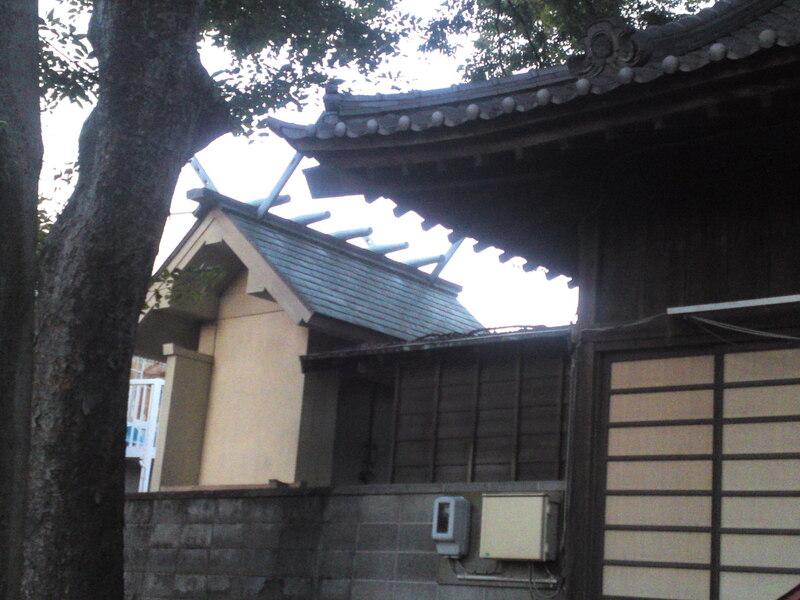 A small shrine (kamidana) on the right! 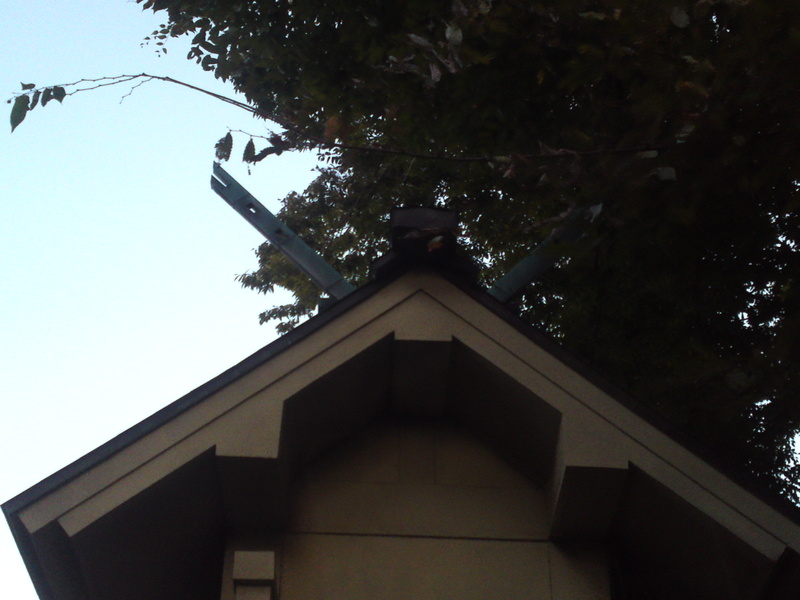 Two more on the left! 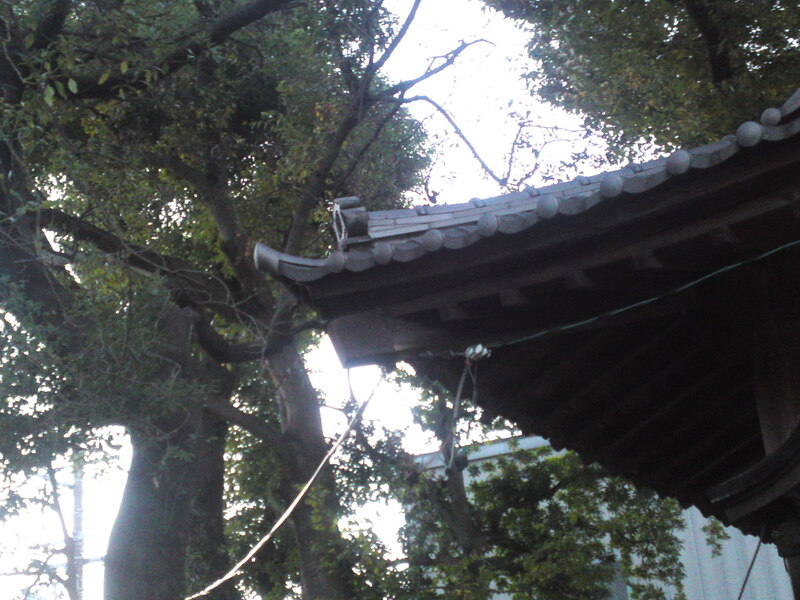 An even smaller and more ancient one made of stone and bearing a rice straw garland! 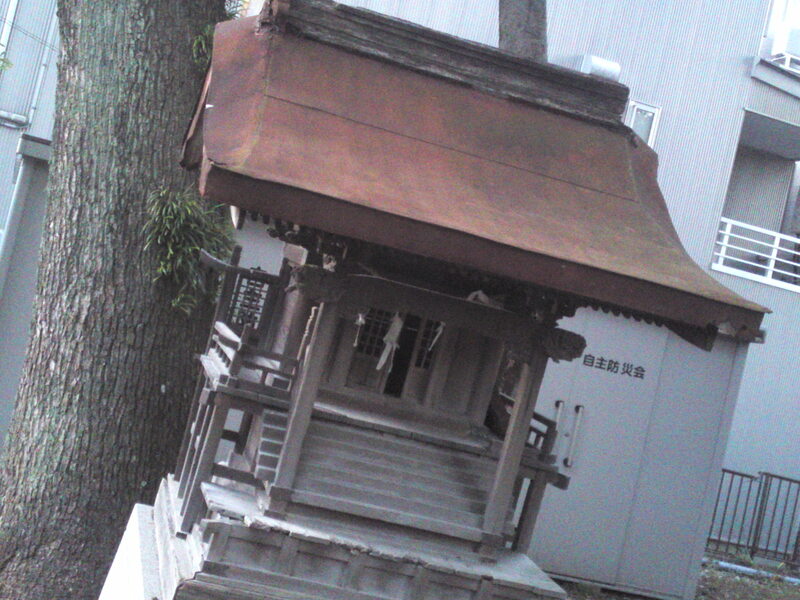 The partly restored inner shrine (honden) barred to the public! 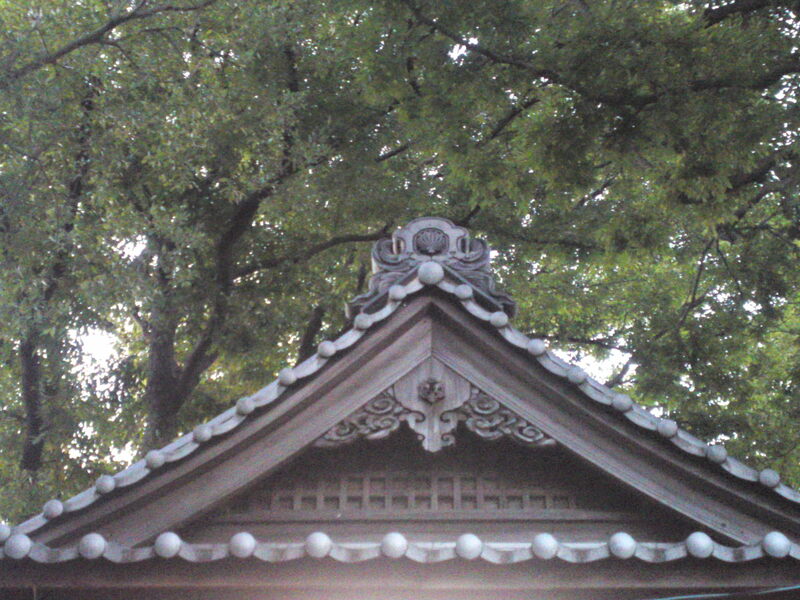 The cross beams (chigi) show that the local deity is male! 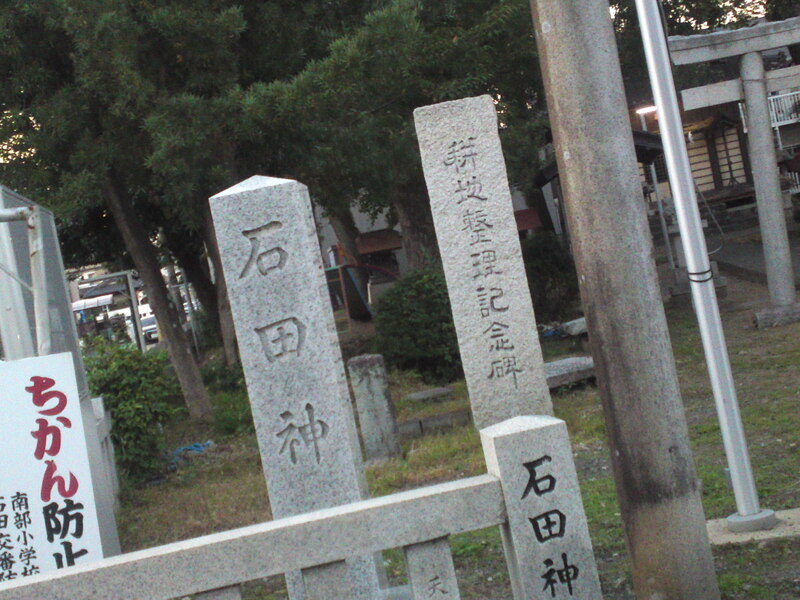 Actually, I had made a continuous mistake about this particular point which was pointed out to me by Facebook friend who just happened to be praying there! 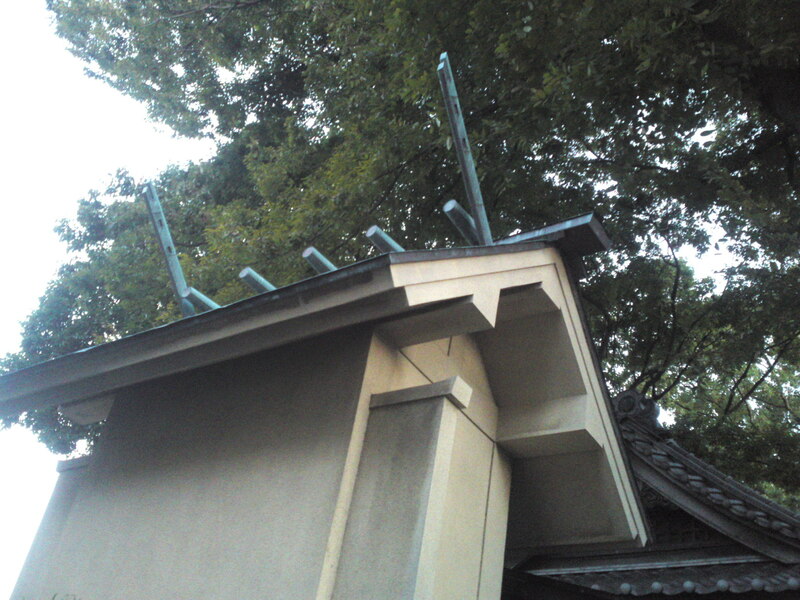 Only the roofing seems to be the original part! 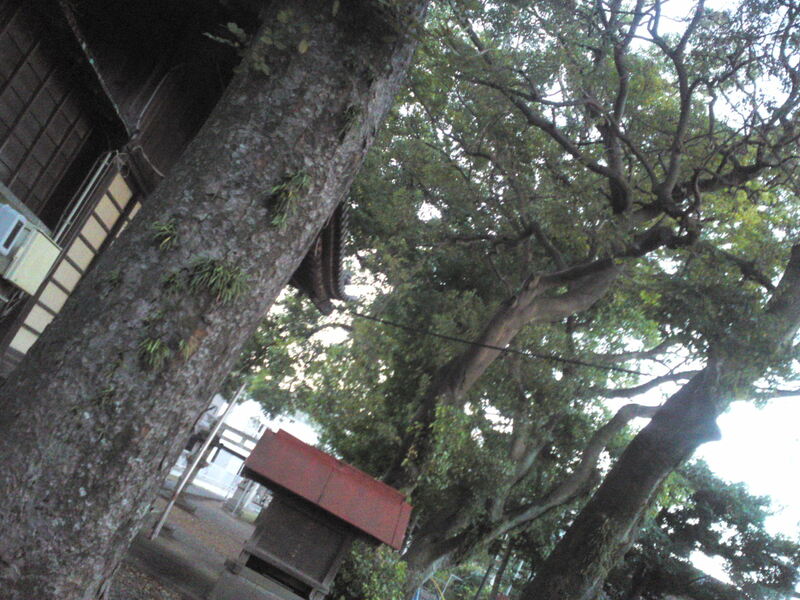 Trees are still standing in the middle of the residential area!